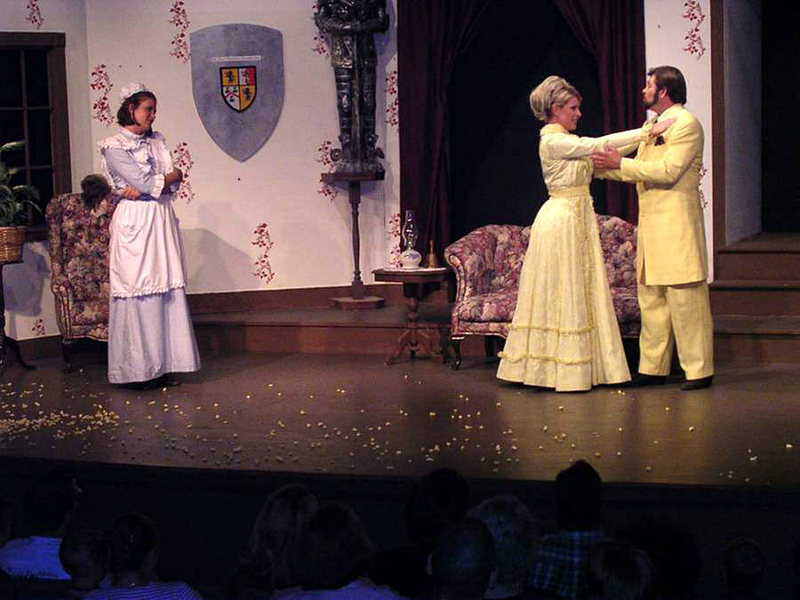 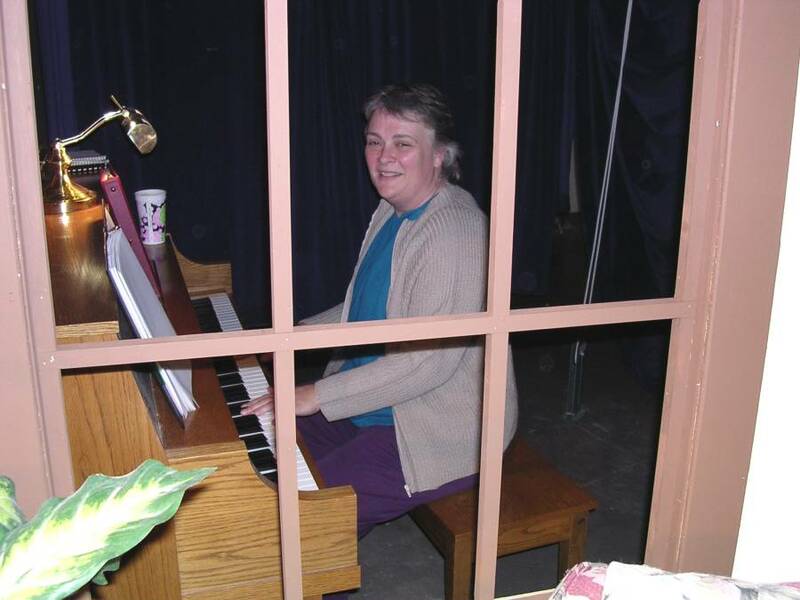 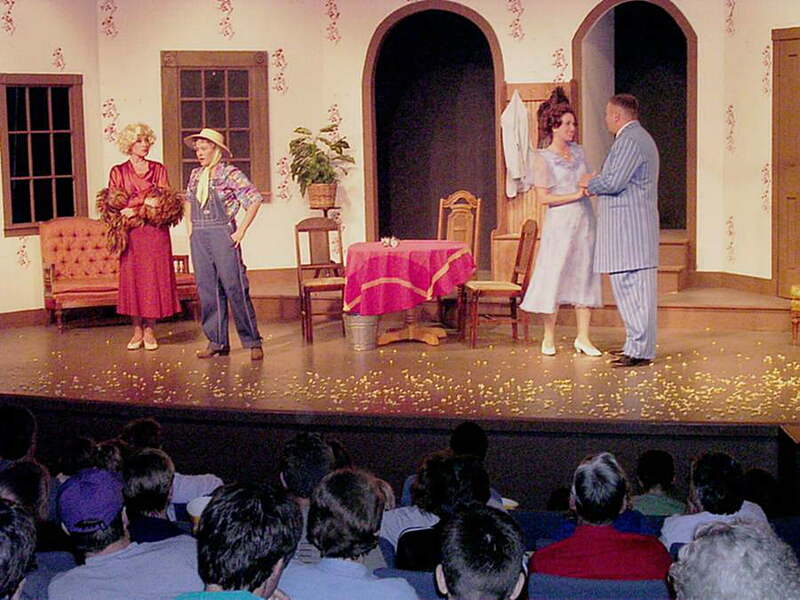 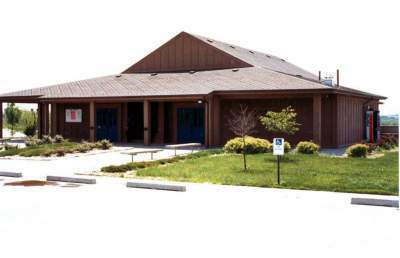 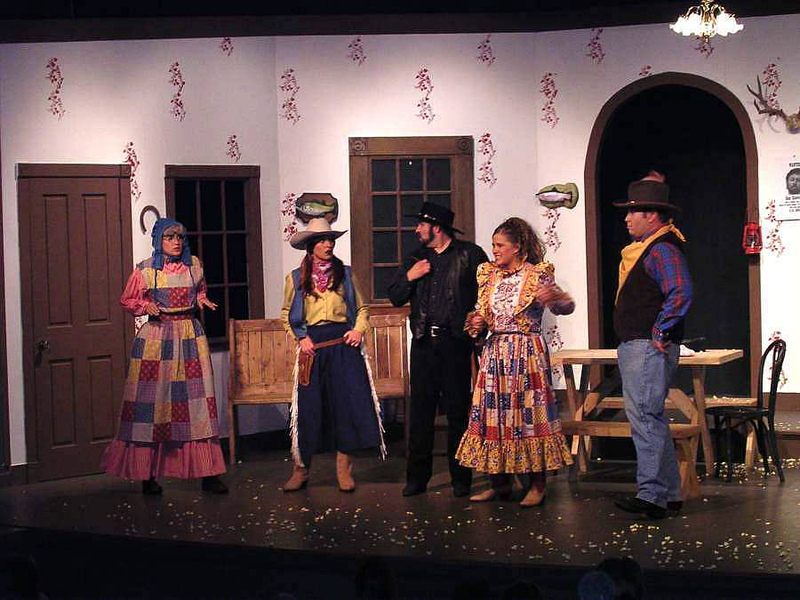 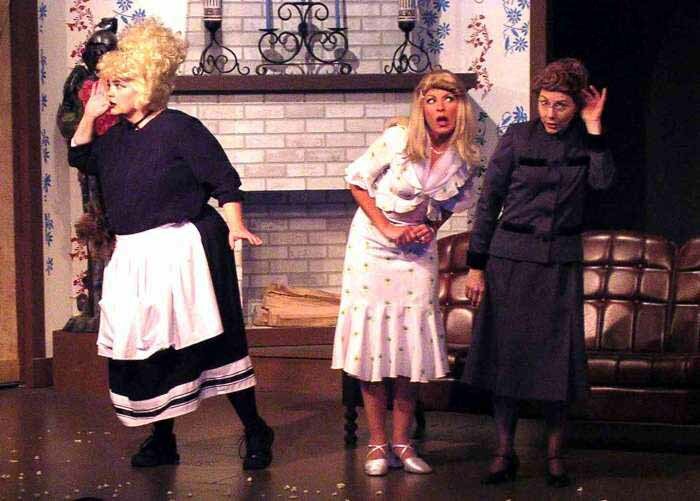 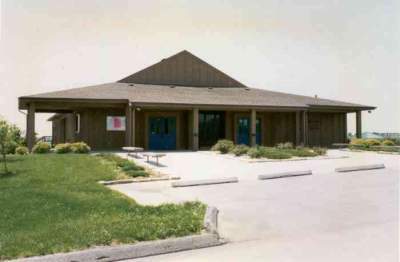 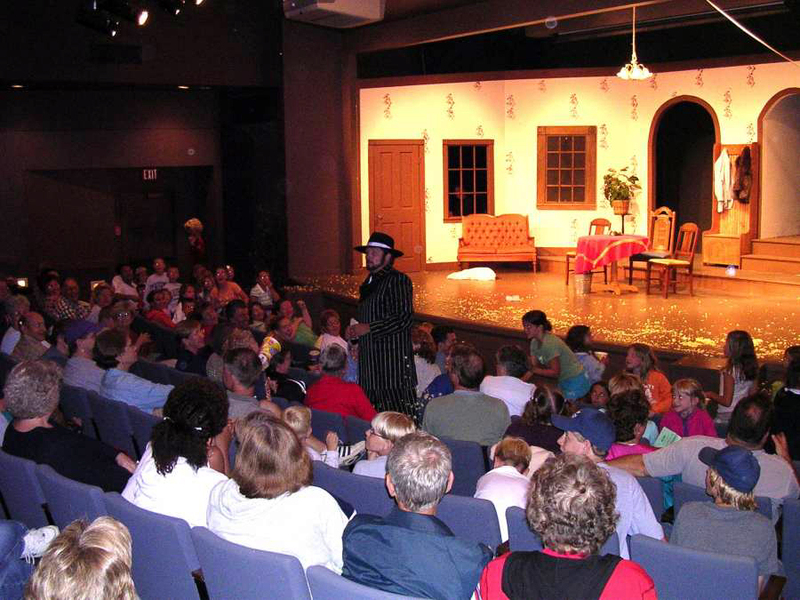 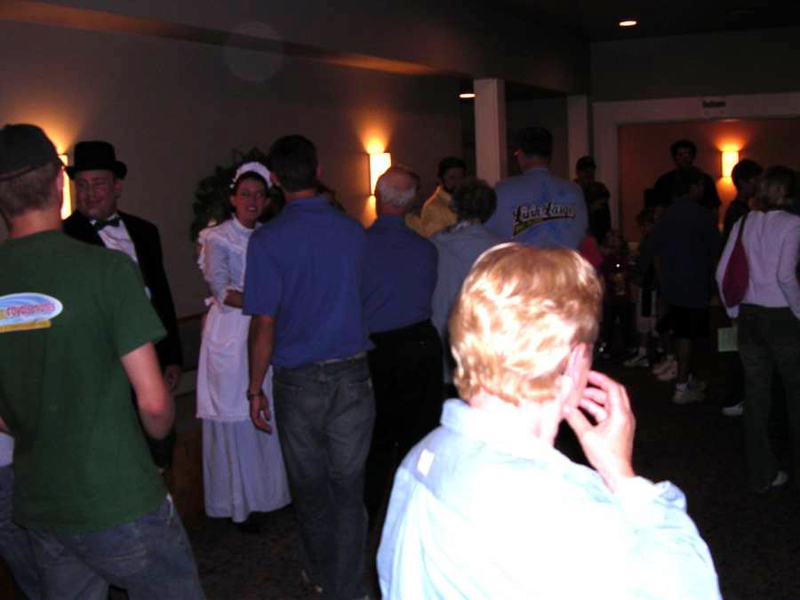 Friday, May 23, 2002 was the starting date for the 11th annual Mahoney State Park melodrama season. 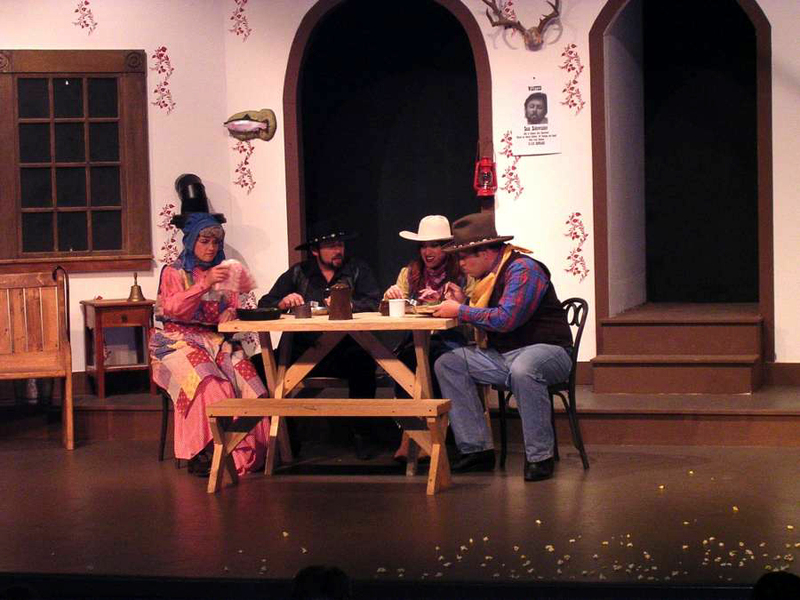 Our casting plans were the same as last season for all four plays produced, Two male and three female actors for the summer plays and three each for the 9th annual fall production. 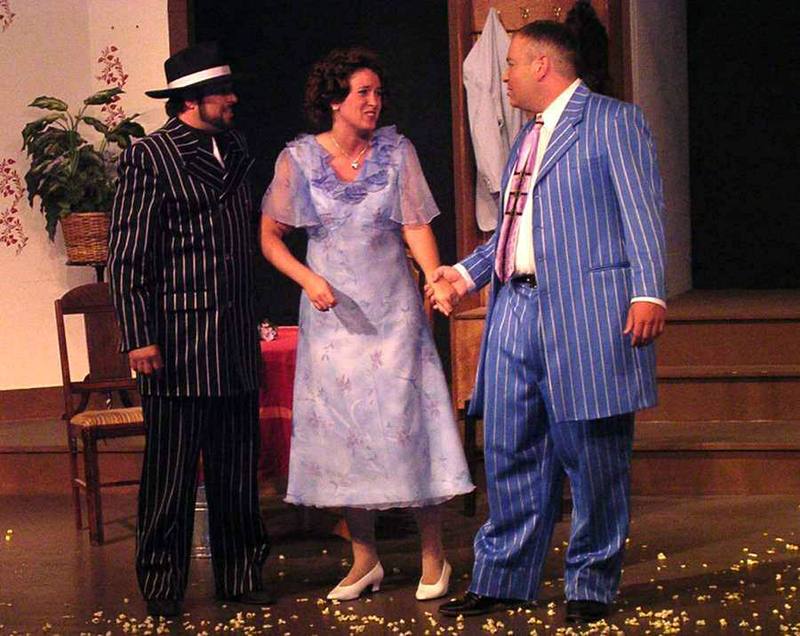 Kristine Kapustka returned for her record 6th consecutive season and Fred Gartner completed his 5th. 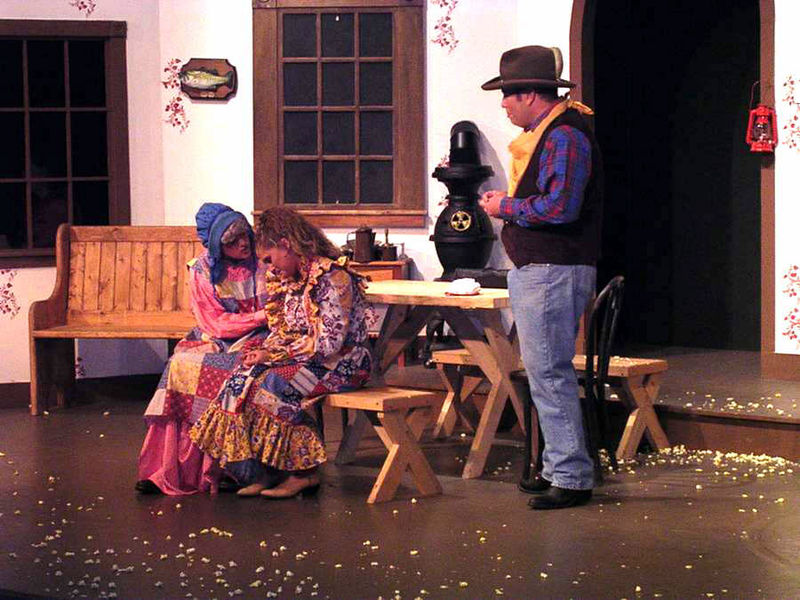 Erin Dineen, Jeff Nathan and Lori Swantek were on board for their inaugural seasons. 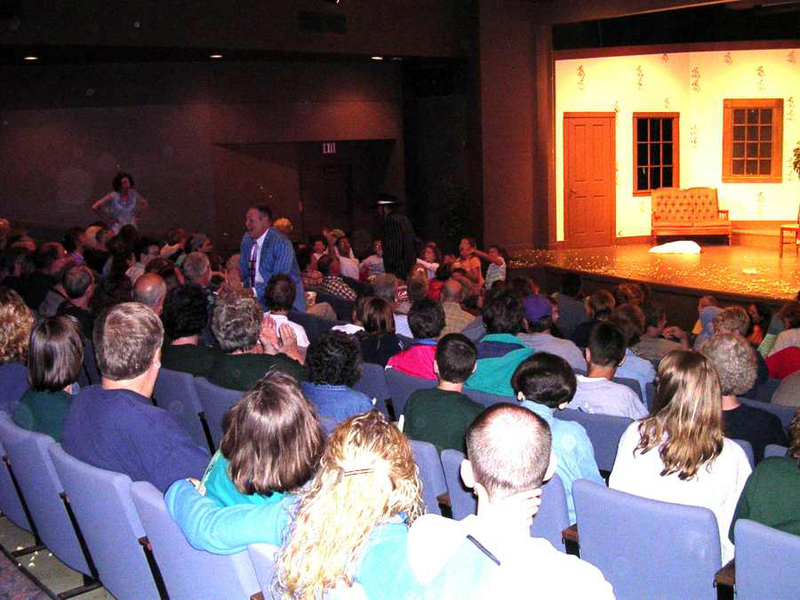 The plays chosen for the summer were "Ghost Of A Chance" by D. Chapelle, "Robber's Roost" and "The Curse Of Blunderhaven" By John Burkhart. 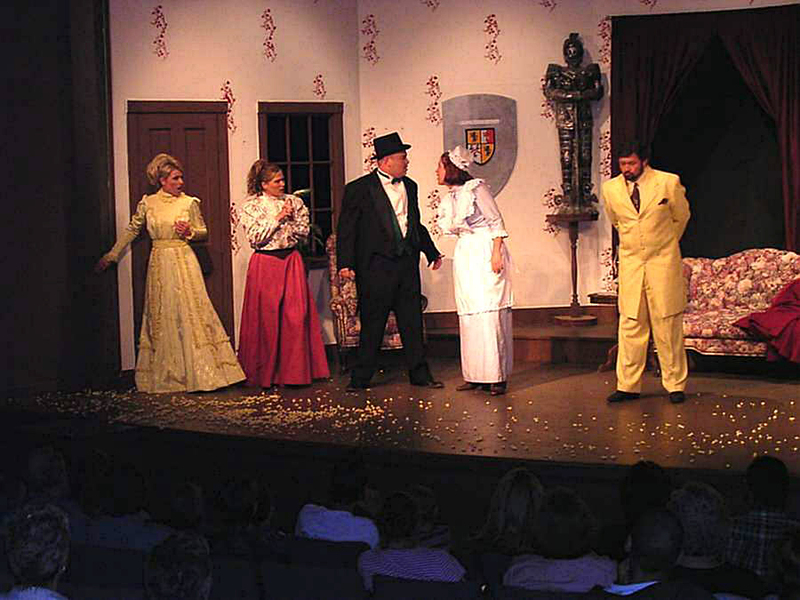 The Fall show was a sequel to the popular "Baron's Revenge" performed in 1999 aptly named "The Revenge Of The Baron's Revenge". 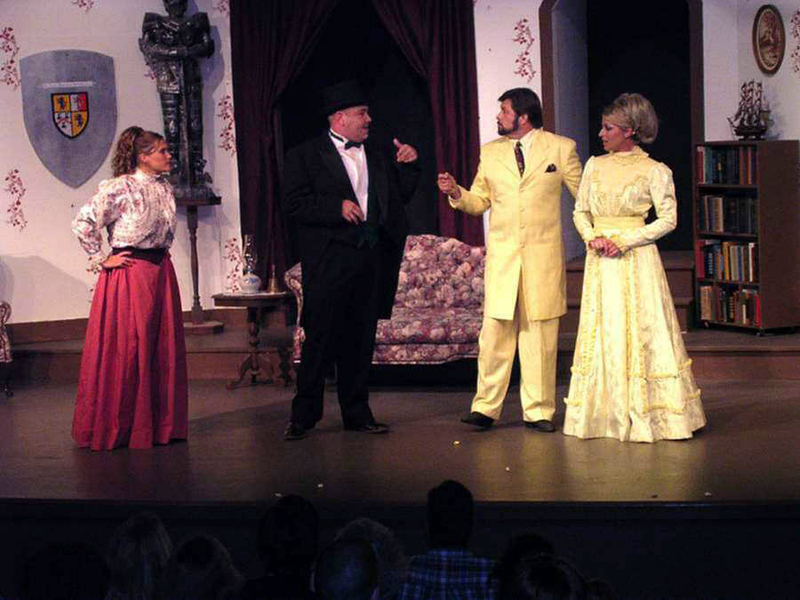 The Fall Melodrama: "The Baron's Revenge"
Scenes from "The Curse Of Blunderhaven" Left to right, Lori Swantek, Jeff Nathan, Fred Gartner, Kristine Kapustka and Erin Dinneen Scenes from "Robber's Roost" Left to right, Erin Dinneen, Kristine Kapustka, Fred Gartner, Lori Swantek and Jeff Nathan Scenes from "Ghost Of A Chance" Left to right, Kristine Kapustka, Lori Swantek, Erin Dinneen, Jeff Nathan and Fred Gartner Music Director Julie Felzien added an important feature to the shows. 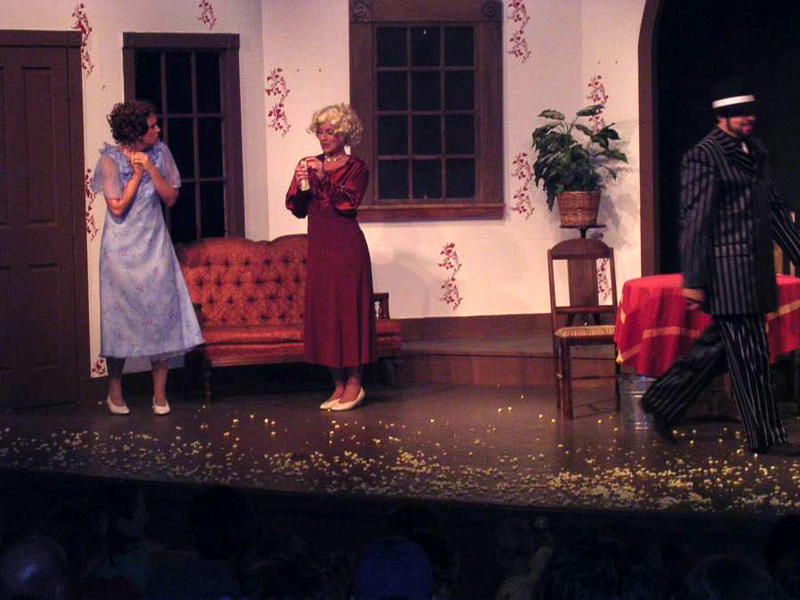 No melodrama is complete without a chase scene through the audience designed to place the villain within popcorn throwing distance of everyone. 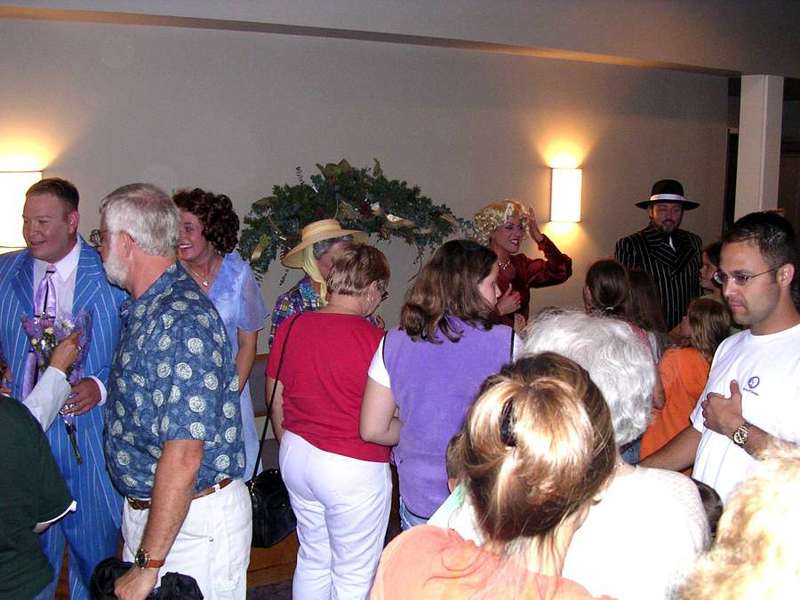 The actors are available after the shows in the lobby to meet the kids of all ages, sign autographs and pose for pictures. 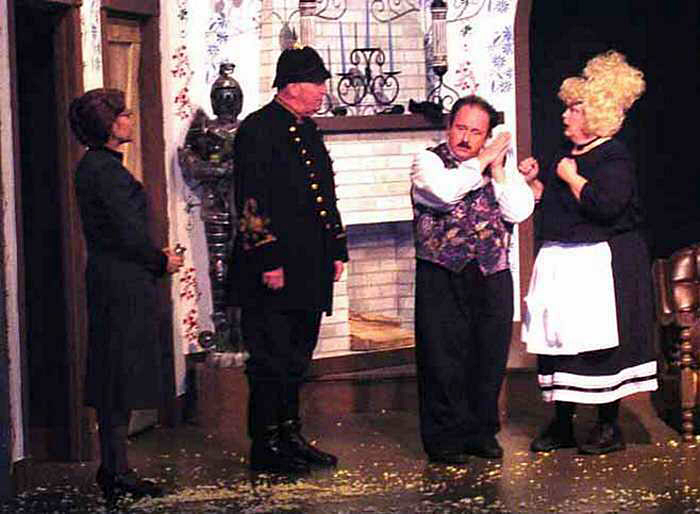 Cast left to right: Helga Graveshousen (Cecilia Burkhart), Constable Von Constable (John Burkhart), the Baron (D. Chapelle), Rogi (Vicki Clark), Emma Doozlehoff (Kristine Kapustka) and Fred Doozlehoff (Fred Gartner).